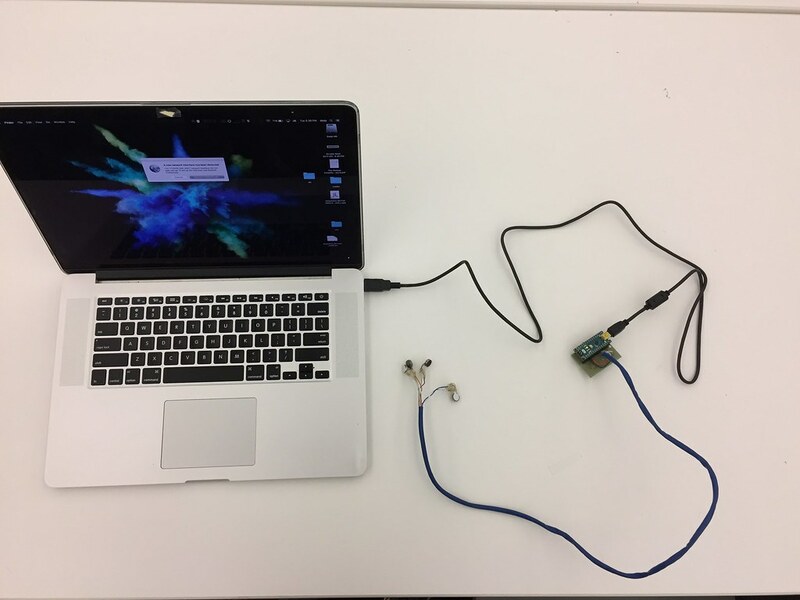 For Week 5 of my Cyborg Futures class, I continued working on the cybernetic vibration motor sense prototype. I went ahead and started to assemble the parts together in order to produce some sort of a device. Considering that our team is still considering many options as to what our final sense will be, we all agreed to start making prototypes in order to increase the pace of this process. My second prototype I decided to call Vibro-Neuro because is made out of vibration motors which resemble neural synapses. This provides a metaphor for the device which envisions an ability to function in symbiosis with the brain. And indeed, haptic feedback has immense potential for creating an augmented sensation that can symbiotically interface with a human’s brain. In fact, vibration motors have allowed a deaf person to regain his ability to hear without using the ear in any way. 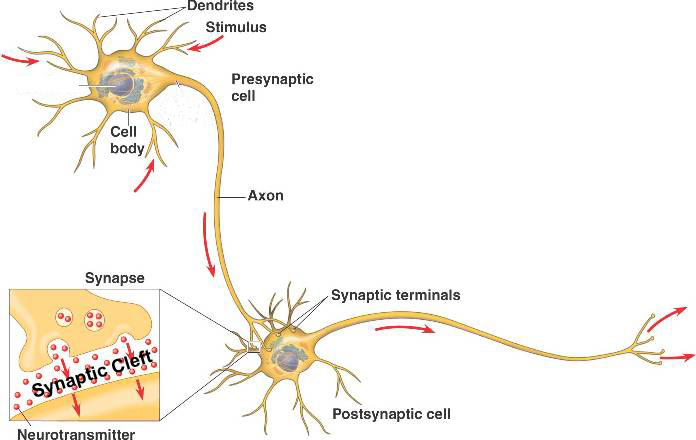 A diagram of a neural synapse which the Vibro-Neuro prototype resembles. 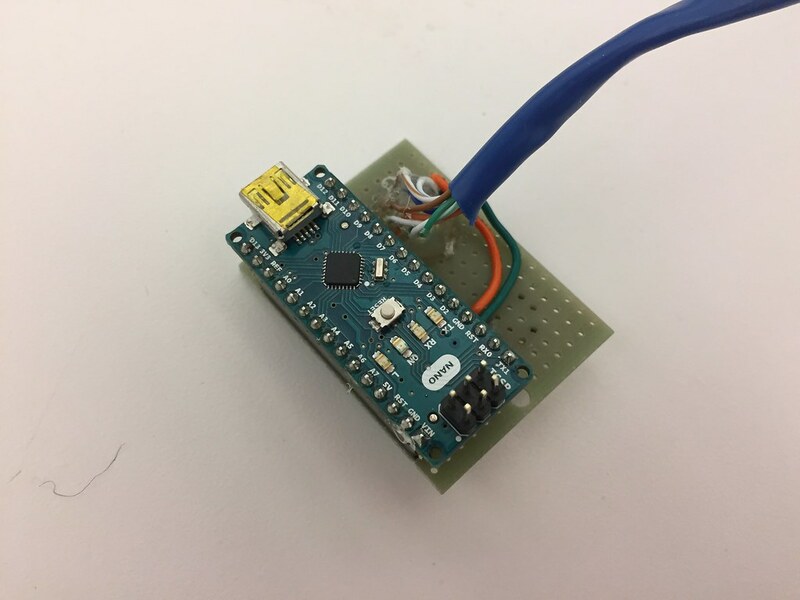 While making this prototype, I continued to have in mind the input and output aspect that I discussed in Week’s 4 blog , that is, that the inputs and outputs can be interchangeable because they are made out of technology that itself is interchangeable. So the project consists of essentially the same parts, except that the Arduino controller is a smaller version and I decided to use copious amounts of hot glue in order to fixate everything and to not allow things to disassemble whenever I want to showcase a prototype. 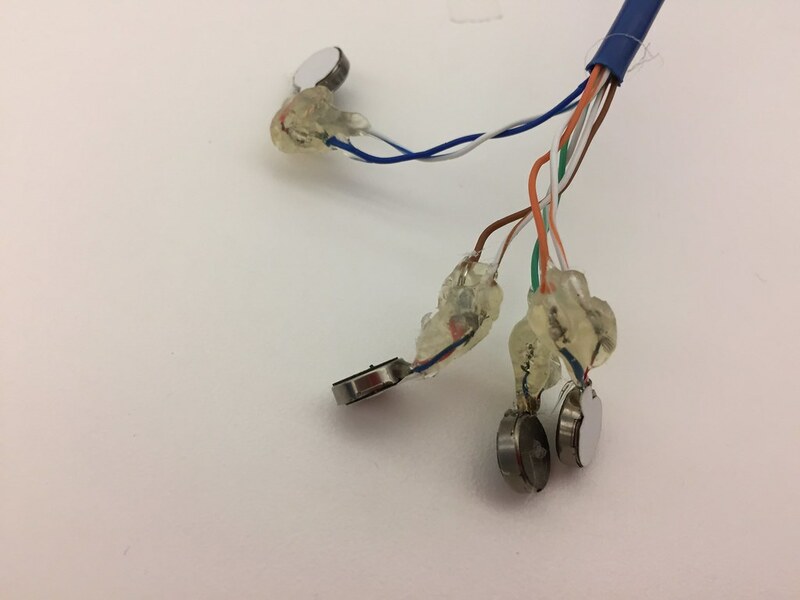 The endings of the sense have 4 vibration motors because the wire itself contains 8 wires in total since each of the vibration motors requires two; negative and positive. These are meant to be the synapses of the sense organ in which manifests the potential for symbiosis with human brain. The cable itself is a savages Ethernet cable which gives the device a speculative aesthetic, especially when considering that i resembles a neural synapse in a technologic medium. The controller is essentially the same. 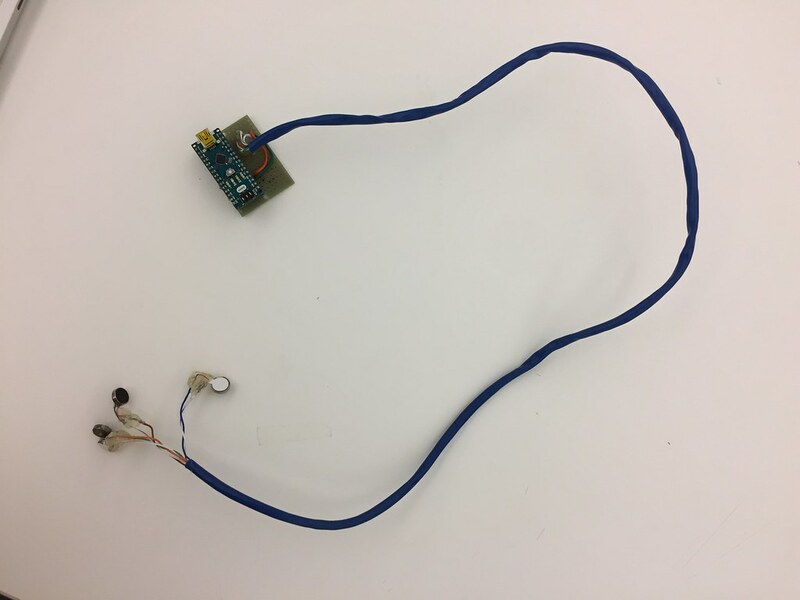 For now the device does not have a sense, but it is something that will be incorporated in the next prototype. And finally, this is a picture of the device being programmed by the computer. A metaphor for the human ambition to create a cybernetic human nature by means of a symbiotic unification with technology.